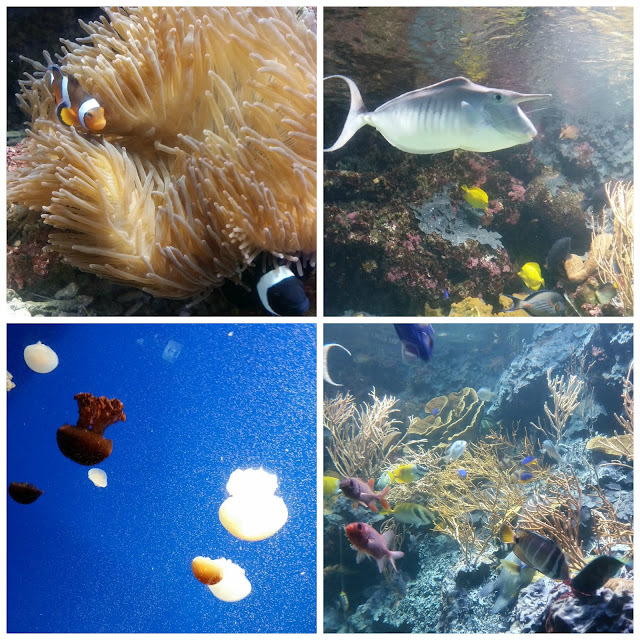 Home / Unlabelled / [Media Invite] Underwater World Singapore - With GIVEAWAY! 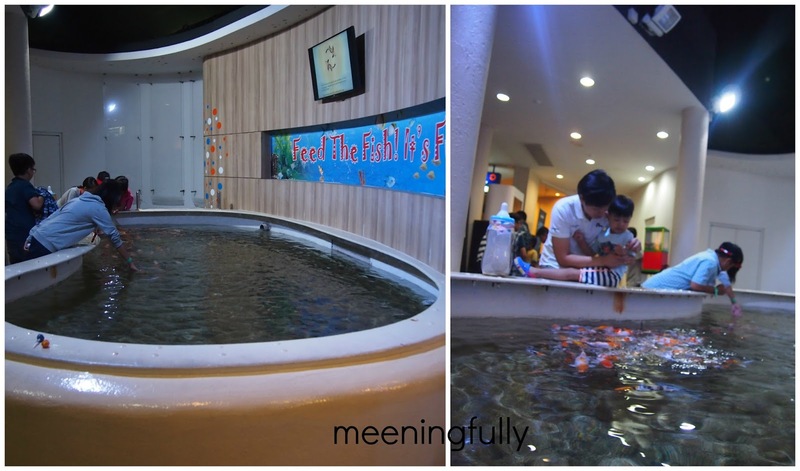 [Media Invite] Underwater World Singapore - With GIVEAWAY! We enjoyed ourselves very much watching seals and dolphins while in Taiwan 2 weeks back. So, what better way to spend our weekend in Singapore than to get up close with sea creatures at the Underwater World Singapore on Sentosa. When we received the media invite to visit UWS , I knew J would be thrilled. Me: We are going to see dolphins and seals again this weekend! J: Really?!! Again? We are going Taiwan to see dolphins again? Oh my dear boy! Your parents don't happen to print money you know? 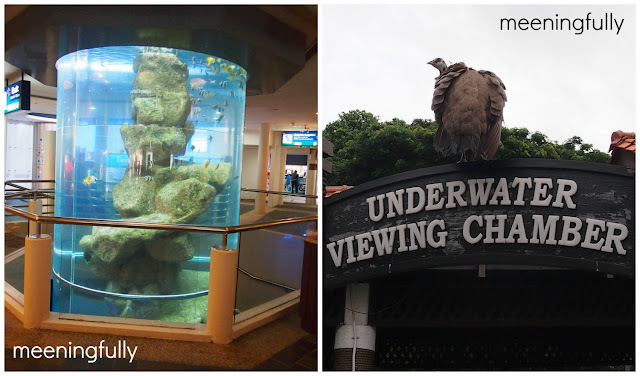 I have many fond memories of the Underwater World on Sentosa. Whenever my relatives from the Philippines come to visit, Mum will always take them to UWS, and I can remember the mandatory photo shots at the long vertical showcase, and the one under the shark tunnel. The last time I was there was in 2006. So, it was really nice to be back again, and let's just say being a parent has made me appreciate the place a lot more. It isn't just a tourist attraction to me anymore. It is an educational experience for the little one, and a walk down memory lane for me. 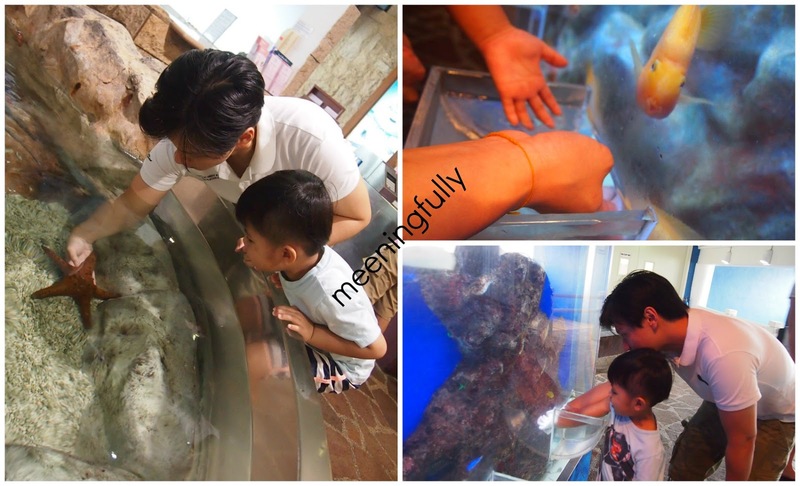 Love the sections where visitors get to touch some of the fishes and other sea creatures. This is a great way to feed the curiosity of younger kids who have probably only seen these sea creatures in books. Visitors get to feed the kois too! J was intrigued by how a few sprinkles fish food can attract the whole of school of fish. Exploring beyond just fishes. 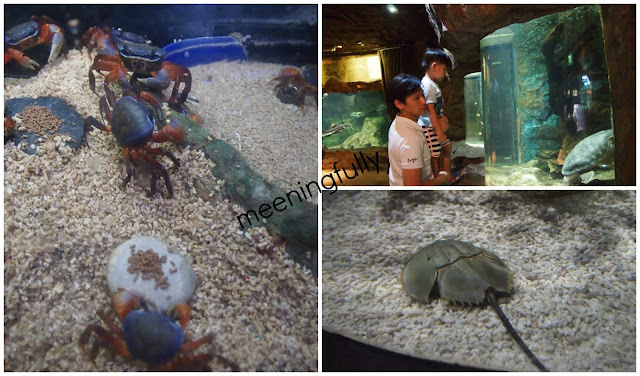 There is a nice corner where we got to learn about the types of crabs in the sea. Truly educational I must say. More fishes and sea creatures. I don't quite know what these 2 were trying to do. Oh well, time out with us means it is mucking around time I suppose. Looking at "Nemo" as J says, from another perspective. Not forgetting the up close and personal opportunity with the dolphins. If you are still looking for activities to do during the June school holidays, why not pop over to UWS? UWS is currently having a special "Sum of Fun" bundle deal. To share our experience, I have 5 pairs of tickets to this bundle deal to give away. All you need to do is answer this simple question in the comment section below or comment on this Facebook post. Don't forget to leave your name and email address, otherwise I won't know how to contact you if you win. Question: Who would bring along to the Underwater World Singapore if you win the tickets and why? Contest is open from now till 17 June 2015, 2359hrs, and winners will be announced on facebook.com/meeningfully, as well as via email. Winners will need to acknowledge acceptance of the giveaway within 48hours of receiving the email, otherwise we reserve the right to do a re-draw. 14. Island Cuisine will offer local delicacies in a buffet format daily from 11.30am to 3pm (Last seating: 2.30pm) and 5.30pm - 9pm.3(Last seating: 8.30pm).